Now in its seventh generation and called the B17, the Nissan Sentra is of course a long-standing staple in the compact car market, but it has also always lived in the shadows of the Civic and Corolla. 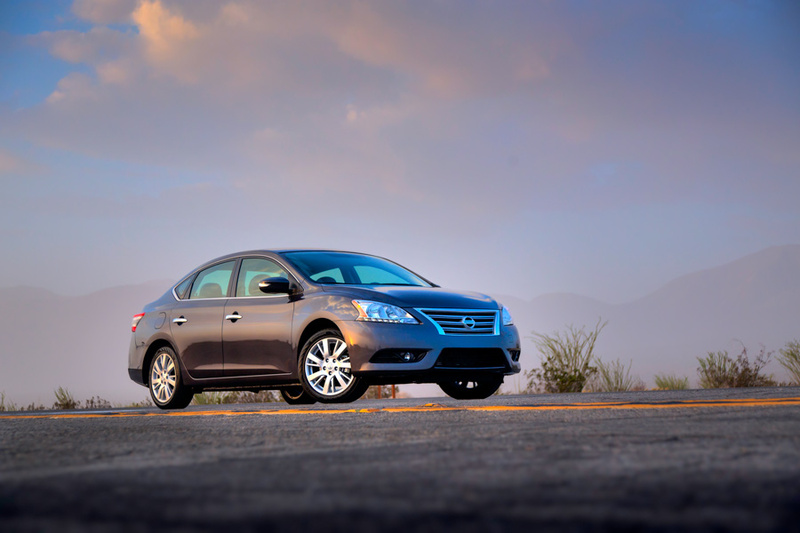 The 2014 version is nothing revolutionary and certainly isn’t going to rock the compact car status quo, but it still gives you a lot for the money and despite a few shortcomings it is a perfectly capable car with good value, just what you’d expect from a Sentra. It comes in seven models trimmed around the S, SV, SR and SL packages, and our test car was the mid-range SV model with the Driver Package options bundle and a navigation package, which has been updated for this model year. Other than a push button start, it’s a stretch to find anything in the Nissan Sentra SV that you could call “sporty”. The SR model is said to be sportier, but it’s just little flashy visual details with nothing mechanical to actually back them up. All 2014 Sentras have a 1.8-liter I4 that leaves the car feeling underpowered, even for what it is, and our test car had Nissan’s CVT, which in general is a transmission that we’re still not a fan of. Regardless of the application, and it’s obviously in the Sentra to maximize fuel economy, we cannot get past the lack of an actual gear change, or what feels like a gear change. We’ll have to get over it, though. It’s clear that we need to. The big surprise, meanwhile, came from the brakes, as our test car had drums on the back. (4-wheel disc brakes are available). We didn’t even know manufacturers still built cars with drums, but Nissan must have their reasons. In general, cars keep on getting bigger and bigger, and calling some of these things “compacts” and “subcompacts” just doesn’t seem right in a way because they just aren’t small anymore. The Sentra, for example, felt like what we thought an Altima would feel like. Nissan calls this extra size “class-above”. 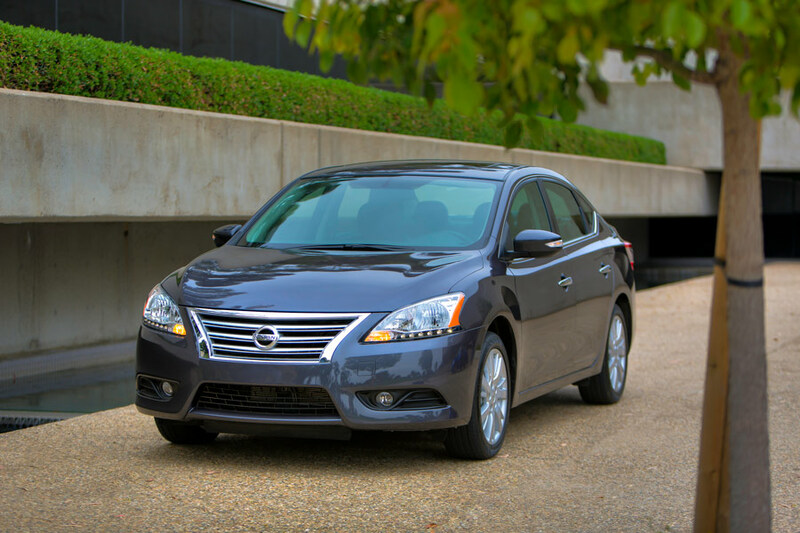 Even though the Sentra is larger both inside and outside, the new model is 150 pounds lighter than the outgoing model. Well done. The optional touchscreen navigation and NissanConnect systems work great and there’s no reason not to opt for them, while little features like a tire pressure warning system represented other unexpected treats. We can remember a time when you could only get tire pressure warning on a Mercedes-Benz, so this is a great example of how automotive technology trickles from the high-end luxury stuff down to the masses. Better still, the tire monitor system comes with the ‘Easy Fill Tire Alert’ feature. If air is being added or removed, the system signals when the right tire pressure has been reached by sounding the horn. Duh. Another common sense feature is NissanConnect’s ‘Hands-Free Text Messaging Assistant’ that reads incoming text messages and allows drivers to reply without taking their hands off of the steering wheel. Like it or not, texting while driving is here to stay, so we welcome features to make it safer. 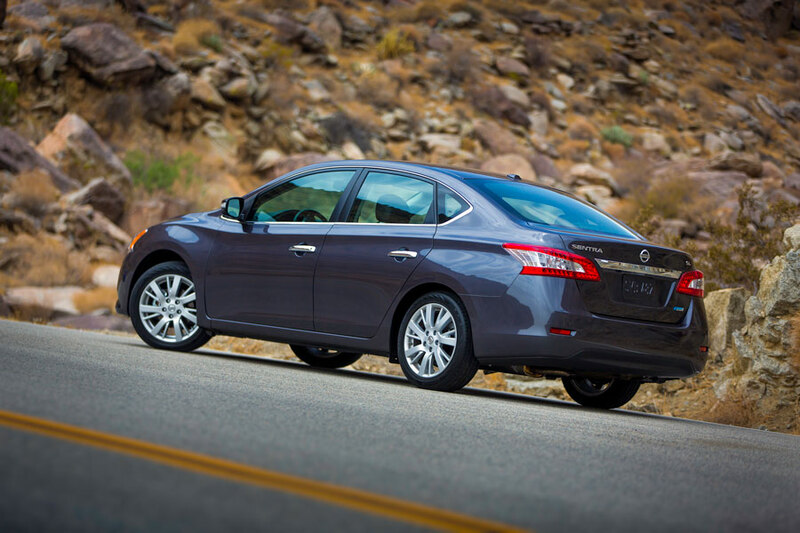 “Nowhere is the new Sentra’s ‘class-above’ style more evident than in the interior. You notice it the minute you sit in the roomy, comfortable seats and when you touch the high quality materials. And when driving you notice the extra attention paid to isolating noise, vibration and harshness from entering the cabin,” continued Castignetti. 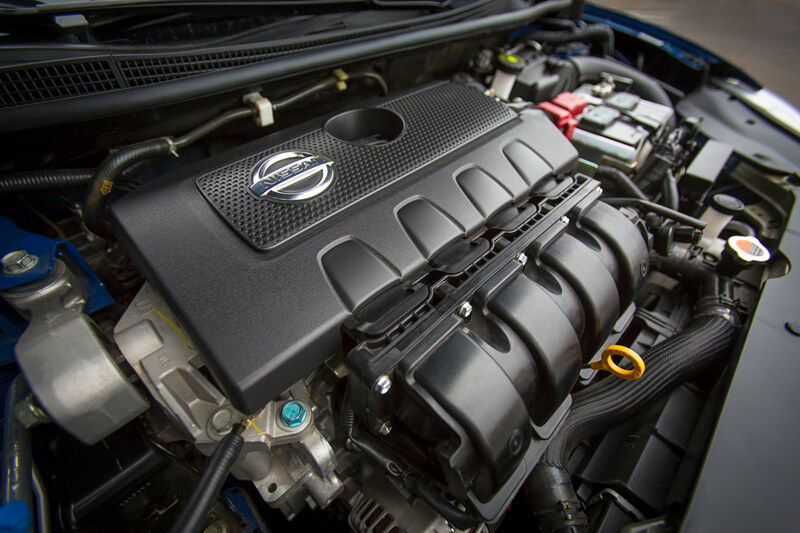 The Sentra SV will do 34 combined mpg on regular fuel and has over 400 miles of real-world driving range. This makes up the Sentra’s biggest strength. It is a commuter car, after all, and most commuters would be perfectly happy in a Sentra doing normal driving. The base model Sentra S does come with a good old-fashioned six-speed so, as we recommended with the Versa Note SV, it’s probably best to save the extra money and go with the manual. 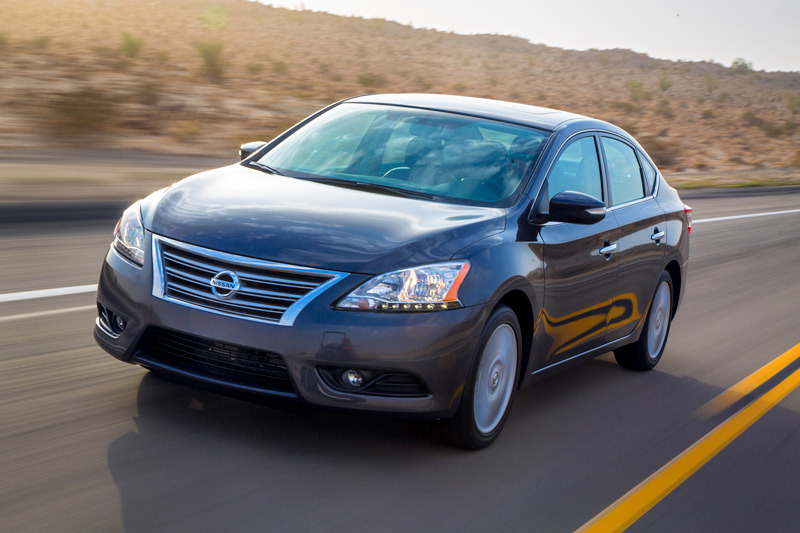 At a price of around twenty grand, the Nissan Sentra feels like a lot of car for the money. It does a lot of things well, with “class-above” refinement and features that make this commuter car a solid value and one we would recommend. What is a 6-speed CVT?